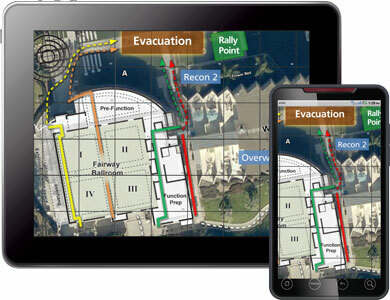 Whether for security operations, crisis response, or advance planning for an emergency situation, GXP OpsView® provides situational awareness and operational visibility through strategic planning tools, simplified communications, and a Common Operating Picture (COP). 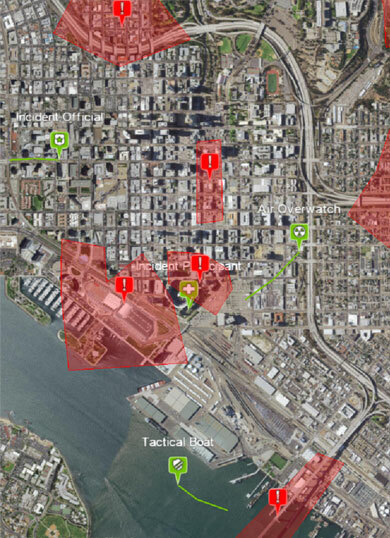 From an efficient dashboard view enabling strategic management of multiple operations, to a focused incident view supporting asset deployment and real-time communications, GXP OpsView brings an unrivaled degree of command and control to operational planning and tactical response. Providing a strategic view of your entire organization, the GXP OpsView Dashboard provides oversight into all active incidents in real-time while providing access to historical incidents for reporting, review, forensics, and training. The Incident Detail view allows users to drill down into a specific incident to see details regarding personnel, tasking, operation files and content, and communications.